A few weeks ago, the video game series Extra Credits made an episode about a growing problem in film and video games: spectacle creep. To boil the principle down, this is a belief that blockbuster movies and games have to keep becoming more and more extravagant and 'epic' with each installment in order to keep the audience's interest, and that after a certain point, you'll hit a brick wall because there's only so much you can ramp up the 'epicness' before it just starts getting ridiculous. The sad thing is that I don't think the Extra Credits guys went far enough with their hypothesis, because I'm here to tell you that some of this same concept is true in music as well, particularly pop music in the past few years. Most of the credit/blame for this can be placed at the feet of the rising EDM scene, where elements seeking to drive the strongest emotional reaction must be a continuous crescendo - you find this in some dubstep fans always hunting for the biggest 'drop'. It's the rise of raw grandiose spectacle over substance, which is why this year there have been so many songs with heavy backbeats and pounding percussion that utterly eclipse the lead singer or the rest of the instrumentation or the lyrical content (Katy Perry's 'Roar' springs to mind). Now let me state of 'course' this isn't the case for everyone - several acts this year managed to make those heavier beats work for them in a pop context, mostly by adopting a larger scale or a more invigorated sound in their delivery - but let's face facts, that requires an artist with distinctive personality, and we don't always get those. So, producers and songwriters who were desperate to leap on the bandwagon figured out the next best thing to get songs to sound more potent and meaningful than they really were: reverb, letting individual sounds build and echo in the mix to create that sonorous experience. But there can be problems with that approach, and to discuss these problems, we're going to talk about the debut album from The Neighborhood that came out earlier this year to my complete indifference. This album is a classic example of how trying to make their music sound bigger and more impressive only highlights the serious weaknesses of the act and ultimately renders their album a lot worse that it otherwise would have been branded. Oh, don't get me wrong, the album is pretty damn mediocre all the same, but the poor production choices pushes this album towards bad in a big way. First, let's get the few compliments I have towards this band out of the way - the production, at it's best, has a certain grandiose spaciousness to it of which I'm rather fond. Sure, it's painfully derivative of Snow Patrol and especially Arcade Fire, but I'm not going to argue against a good sound I like even when it's not being used effectively. And you know, there are occasional snippets of wit and decent technical songwriting that crop up on this album that show somewhere in the Livejournal of the middle-school girl they cribbed these lyrics from might lie a decent songwriter someday. And you know, to be fair, you tell The Neighbourhood is drawing from a good pool of references in terms of their sound. The band it's clear they've drawn the most from is Arcade Fire, except where that band had great memorable melodies and real presence behind the microphone, this band has loads of reverb, a vocalist somewhere between late-period Alex Turner (from the Arctic Monkeys) and the guys from Blood on the Dance Floor, and not a single memorable melody line conveyed through their instrumentation in the slightest. I've listened to this album a number of times over the past few weeks, and I can't tell you a single memorable hook or melody on this album - and when you start off with that, you end up in trouble because all of that reverb and spacious production only serves to emphasize how empty of melody the rest of the tracks are. Maybe if the reverb was peeled back it could have been described as minimalist, but this album is aiming for broad, sweeping, joylessly hammering that only induce migraines. The one positive I can say for the instrumentation is that the guitar does have a good tone and I liked hearing it whenever it popped it - although it was never allowed to gain any swell or presence or serve as anything besides instrumentation punctuation. The band I was immediately reminded of, in fact, when I started listening through this album was one I often mentally paired with The Neighbourhood in my mind before listening to or reviewing either album, which is, of course, Bastille. Now, I'll admit I was probably a little hard on Bastille, and I've warmed very slightly to that album since that review (I stand by the score), but man, I Love You by The Neighbourhood really seeks to cast Bastille in a favourable light. Say what you will about both acts' dourness and occasionally sour lyrics, but at least Bastille had a vocalist who could deliver his songs with some presence and potence and energy and who could match his production! Here vocalist Jesse Rutherford is often swallowed up under his own reverb, half because he never sounds like he's trying and half because his range is painfully limited. He's clearly trying (and mostly failing) to convey emotion, but throughout these songs his vocals are so buried in the mix that what could come across as emotionally potent just sounds muted. And here's why that's a big problem: the lyrics. The technical songwriting is mostly passable, but the content here is the big red glowing weak spot for The Neighborhood. Simply put, by the end of this record, Jesse Rutherford managed to completely destroy any potential goodwill he might have with me because he is astoundingly pissy on this album. And we're not talking about the straightforward bawling that we got from Linkin Park circa Hybrid Theory, but an overload of passive-aggressive whinging and bitching about a failed relationship, where you quickly realize the title of this album, I Love You, has to be ironic. And you know, I could skate around this all today, but let's cut to the chase and call it what it is: this is emo, 2013. Now, unlike most, I'm not the sort of critic who's one to condemn the entire emo genre as garbage - because with acts like Say Anything, that's just not true - but The Neighbourhood sure as hell bring the worst traits of it to the forefront on this album. The passive-aggressiveness, the self-loathing, the omnipresent whining tone of every single song... only on an emo record would you get lyrics like 'You're a doll, you're flawless / but I just can't wait for love to destroy us'. Yeah. But as I said, emo doesn't equal bad - the problem here is in the execution and the production. Emo can work with good songwriting (which really is lacking in flavour and impact on this album) and good delivery (which isn't here at all), but the problem is that those emotions are leeched of any raw feeling by the the production blowing them up with reverb, to make them sound portentous and deep - and they really, really aren't. If anything, the production just blows the sour pissiness of the lyrics up to insufferable proportions, and worse still, Jesse Rutherford's delivery doesn't convince me that any of these emotions are coming from a sympathetic place. I have a hard time buying he feels these emotions with his vocal delivery, and even if he does, the songs are still too sullen, miserable, and ultimately completely uninteresting to make any sort of impact on me. 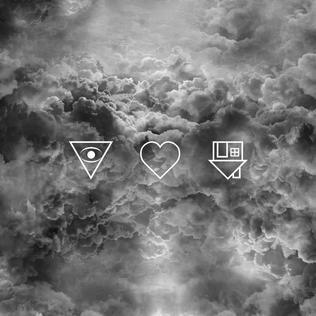 Look, in the end, I can't recommend I Love You by The Neighbourhood - it's whiny, it's pretentious as all hell, and it's really rather dull after repeated listens. It didn't stick with me whatsoever, and frankly, the only reason I'm covering it is because of requests in the comments from you guys. But on the other hand, I can accept this album might not be targeted at me - for the sullen teenage demographic who find detachment and dour seriousness a virtue to combat their inner turmoil, this album might fit the bill. But on the other other hand, there are so many better acts that came out this year that are analogous to The Neighbourhood's sound and just do it better. Sure, The 1975 might be a bit too upbeat, but both Bastille and Jimmy Eat World dropped albums this year that did The Neighbourhood's exact same theme a fair bit better. I can't really recommend either of those albums either, but they're better than this, which gets a 4/10 from me. Skip it, folks, and maybe somebody in the production booth will clue into the fact this sort of production only works if there's real substance behind it.